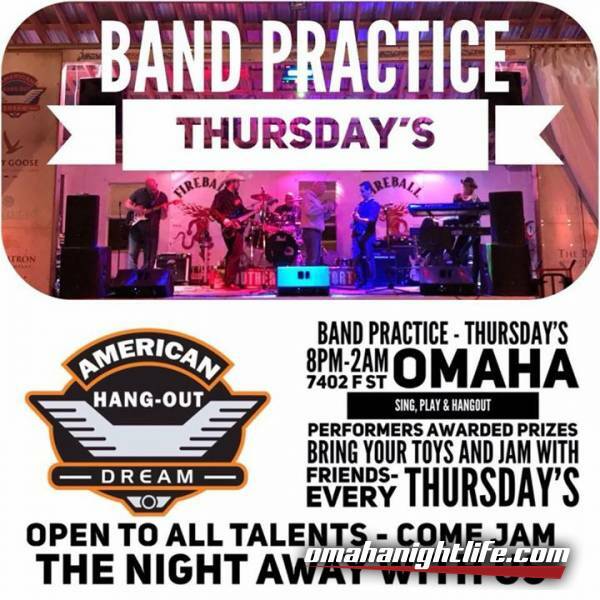 Come jam with us, Omaha's next top band could be discovered. If you sign up to Play you get your name entered into a drawing to win some great prizes! You will also receive a drink ticket after you come off the stage to get a free drink!!! Starting in November all new house band members, So make sure to sign up if you are interested!